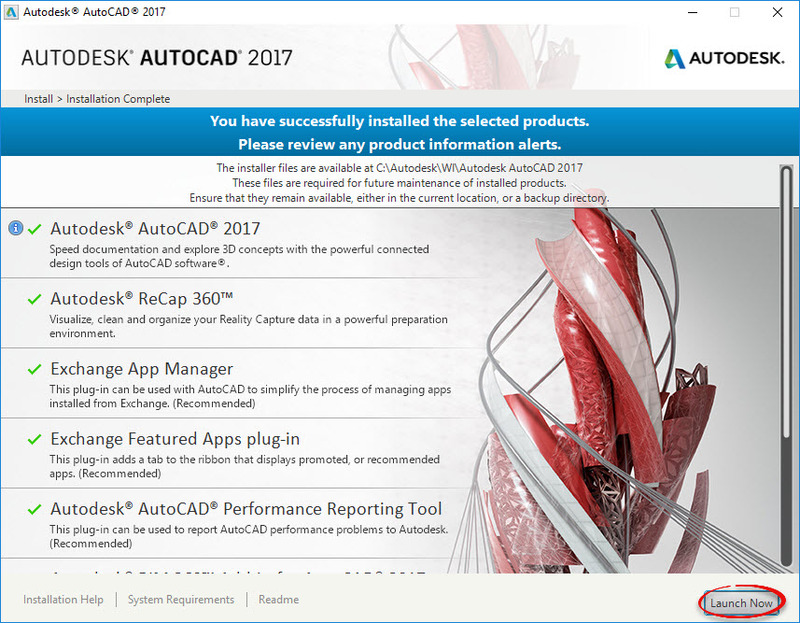 Autodesk is a design software suite. You can download a variety of programs for free. 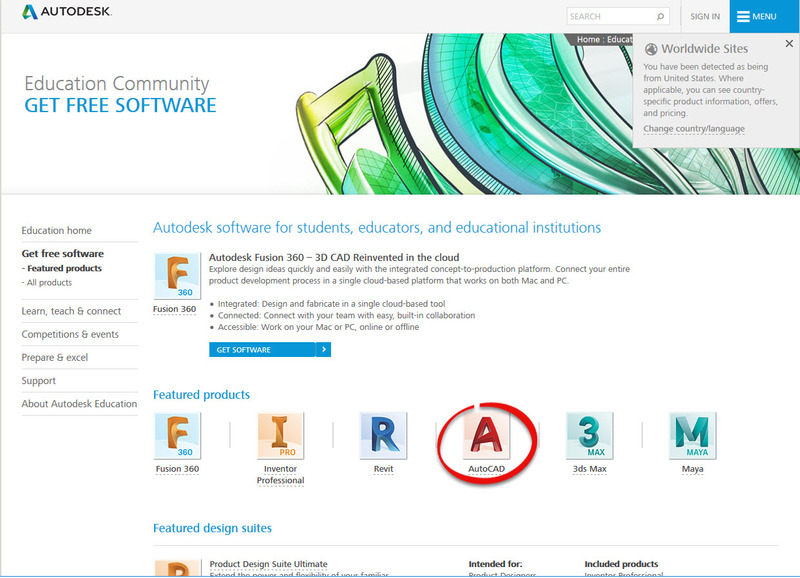 Step 1:Visit http://www.autodesk.com/education/free-software/featured. 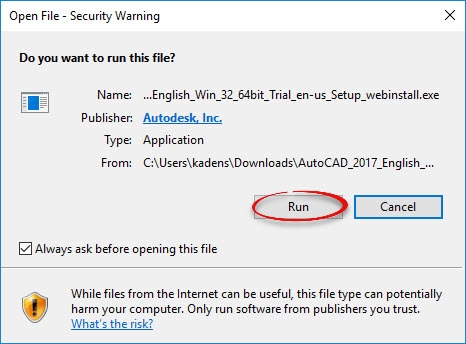 Choose the software that you want to download. 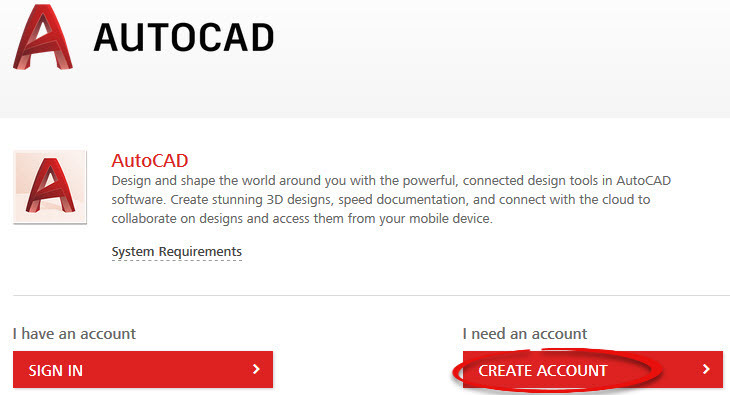 These instructions use AutoCAD, but the process is the same for all options. 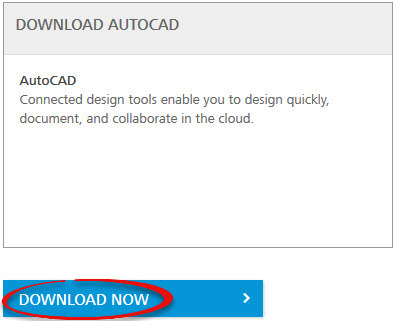 Step 2:You will need an account to download the software. Click Create Account to begin. 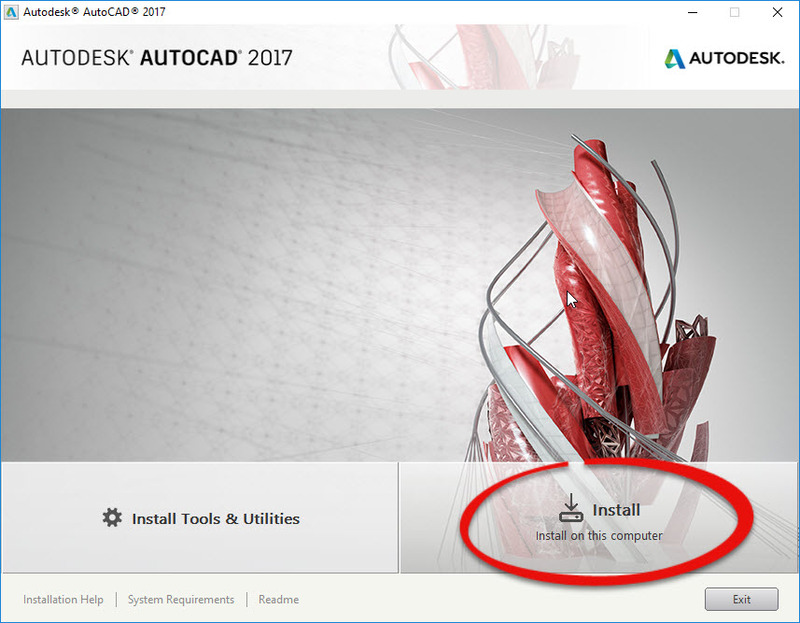 If you already have an Autodesk account, skip to Step 10. 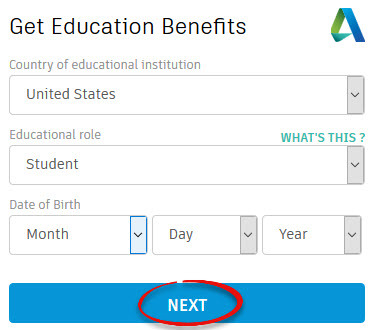 Step 3:Enter the required information and click Next. Step 4:Enter your information. 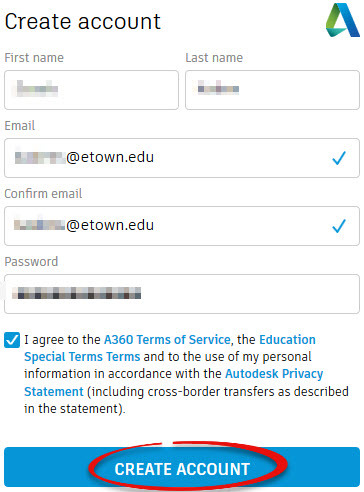 Be sure to use your etown.edu email address. Click Create Account. 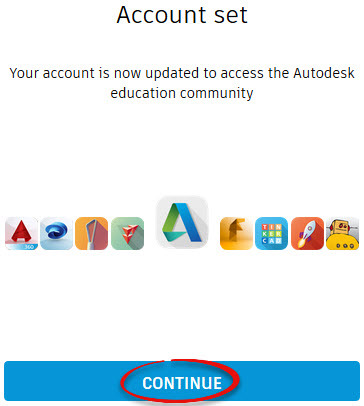 Step 5:Go to your Etown email and click the verification email from Autodesk. 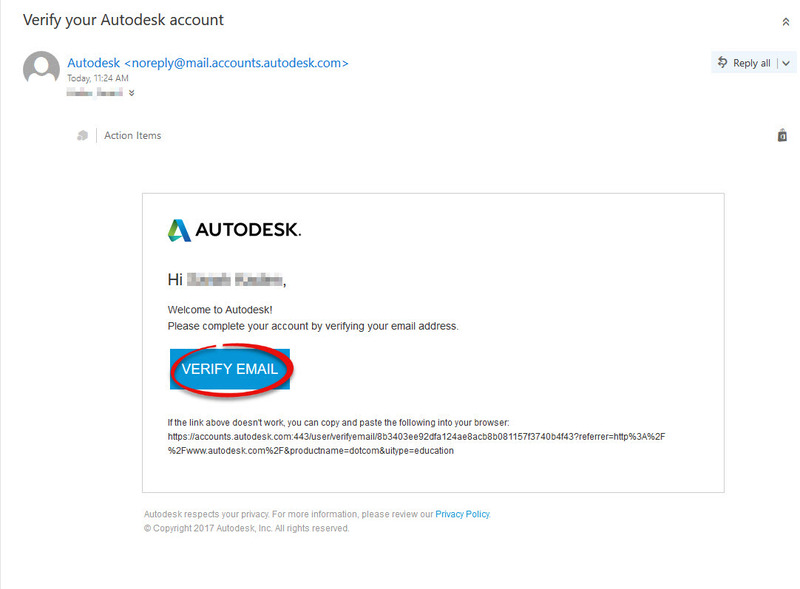 Click Verify Email. Step 6:Your account is now verified. Click Done. Step 7:Enter the requested info. 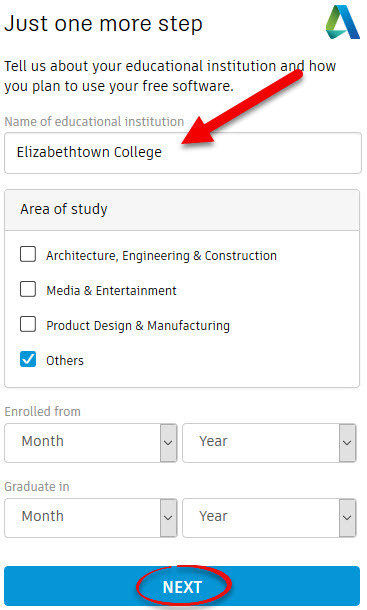 Be sure to enter Elizabethtown College as your institution. Click Next. Step 8:Your account is now set up. Click Continue. 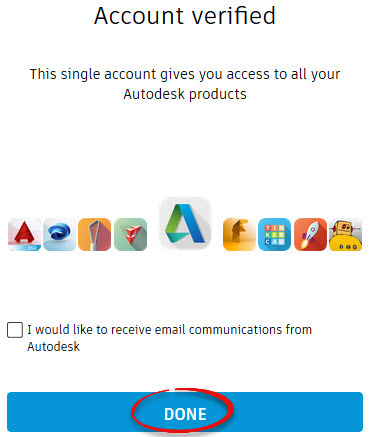 Step 9:Now that you are signed in, select the software that you wish to download. 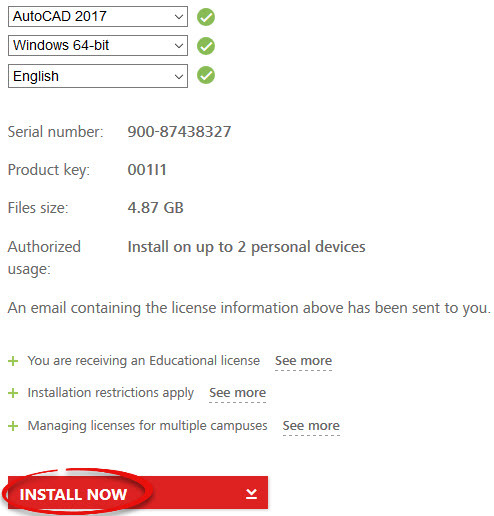 Step 11:Confirm the software edition that you want to download, and click Install Now. 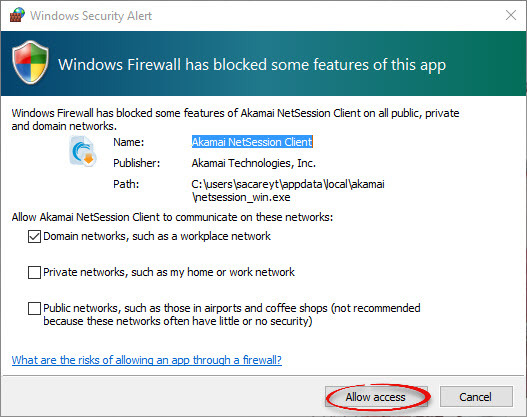 Step 12:Read the license and services agreement and check I Accept. Click Install. 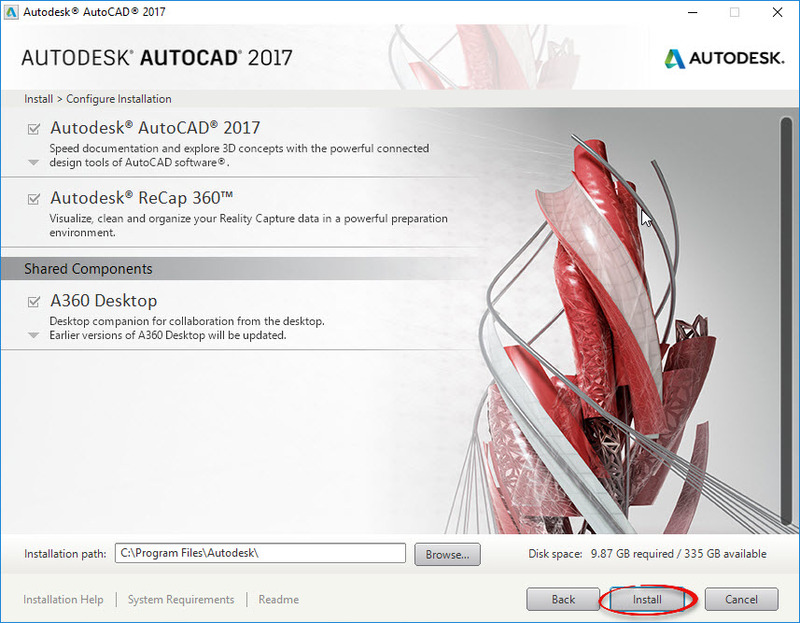 Step 14:In your Downloads folder, double click the file to begin installation. 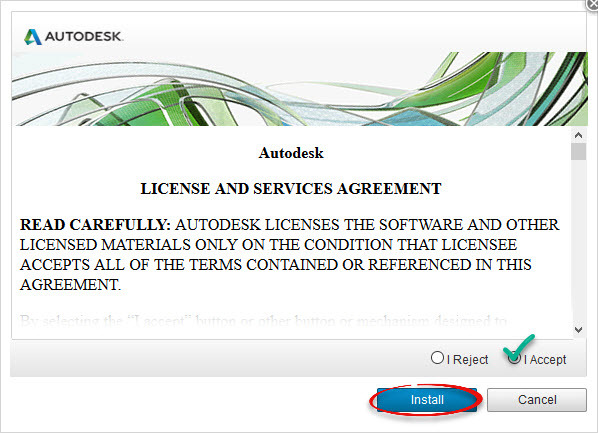 Step 18:Check the software elements that you want, and click Install. Step 19:Once the program has successfully been installed, click Launch Now to begin.